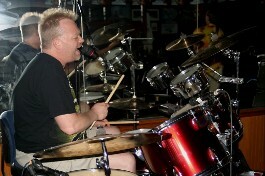 Michigan Session Drummer For Hire for Rock, Country, Pop Music. Over 20 Years professional experience Studio Session Recording Drumming and Producing with many Michigan bands and artists including ThreePeace, Gene Pool, Pat Cronley. Produced and worked with over 50 Michigan musical artists in Studio and on the road. Terrence Sheehan (Leftee from ThreePeace) has played in Siena Heights College Jazz Band and Mott College Jazz band. Studied under Aaron Purdie of Al Green and also The Tonight Show Band, first cousin of Bernard Purdie of Steely Dan Drummer fame. Available for Studio Drum Sessions, Live Concert Performances, Production of Live Drum tracks for other drummers. Drum Lessons provided in a 20 mile radius of Grand Blanc, Mi. Studio and Live performances rate is based on the event time, length, travel involved. If you are looking for a professional drummer to highlight your studio recording in Michigan contact Terrence Sheehan (Leftee). Also available for fill in gigs if the schedule permits it. 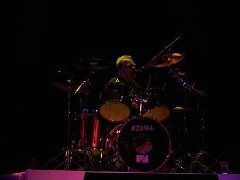 Terrence Sheehan plays Tama Drums, Sabian Cymbals and vairous other percussion components. Check out these links for a Michigan Session Drummer for Rock, Country, Pop, Jazz, Gospel, Church Groups and more. 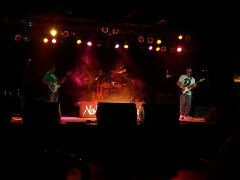 Drummer for Hire in Michigan for Live Performances, Studio Sessions, Drum Lessons, Drum Teacher. Call for a free quote on any of the services listed. Call Terrence Sheehan (Leftee) Now at (248) 210-9155 for a free quote on your project! Bands performed with on Record and as Producer include, ThreePeace, Leftee, Leftee & The Right Wingers, Leftee featuring Synchroshakti, Siena Heights Jazz Band, Mott College Jazz Band, The TecTonics, The Travelin' Bluesman, Happy Curmudgeons, Pat Cronley & Friends, Gene Pool and many, many more! Michigan Session Drummer, Studio Drummer, Drum Teacher, Drum Producer Arranger, Live Gig Fill In Drummer for Hire, Detroit, Flint, Lansing, Grand Rapids, Saginaw, Bay City, Port Huron, Ann Arbor and most of Southeast Michigan!